Nails Inc will always be a firm favourite for me. Their collections of nail polishes always leave me admiring how pretty they all look and I love that they’re always thinking up new ways to make nail polish exciting. This Autumn, my favourite colour without a doubt my favourite colour is oxblood. I’ve never been a fan of burgandy shades really but this year I can’t get enough. This Eid I wore an elegant cream maxi and instead of having simple neutral makeup I decided to vamp it up and chose to paint my nails in a similar fashion. 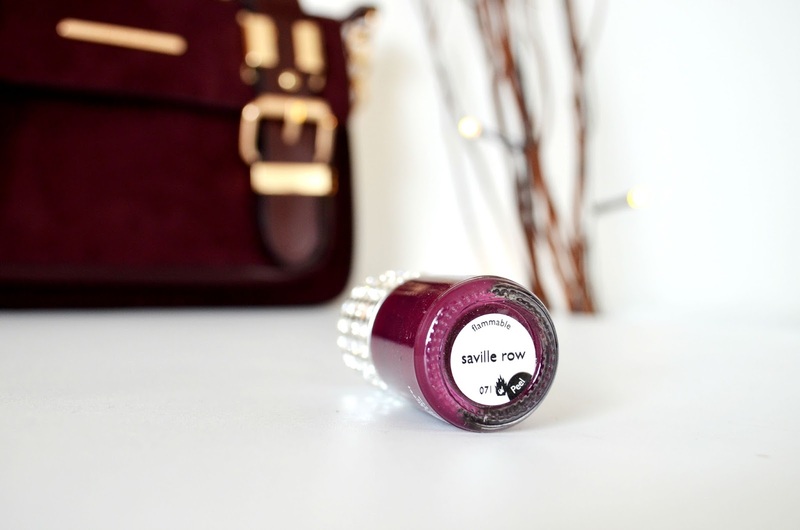 The colour of choice – Nails Inc Saville Row. As with all Nails Inc polishes, it glides on really well. You do need up to three coats to have even coverage and be warned the first coat can come up as quite streaky and watery. Once you have a few layers on though, it really does look beautiful. A top coat is recommended with this one too, I tend to find that Saville Row chips at the tips of my nails quite quickly as opposed to other polishes, not sure why that is. Perhaps I’m working too hard! Once its on though, the colour is stunning; Autumn in a bottle. If you look really really closely, you’ll even notices tiny specks of glitter which I love. I can definitely see myself rocking Saville Row a lot this season and according to Pantone’s colour of the year, it seems you should be too. 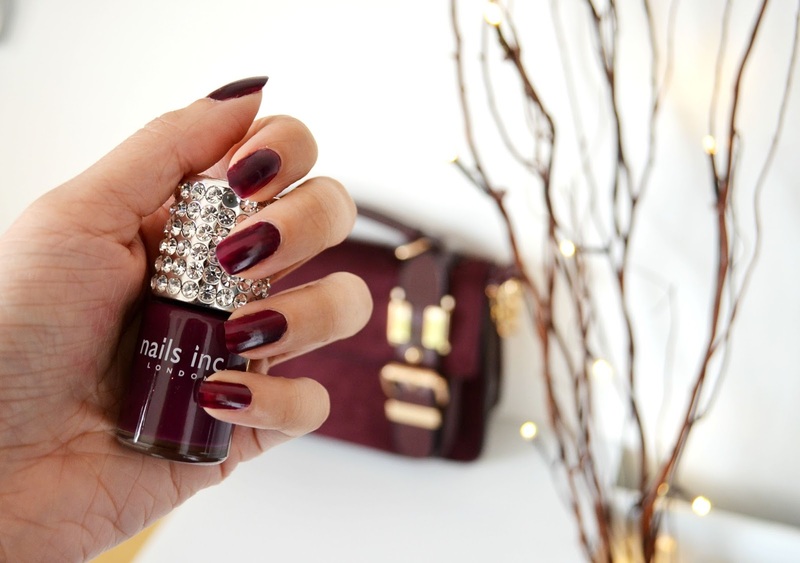 What’s your choice of Autumnal nail colour?